Superlon is a lightweight and flexible elastomeric (polymer with viscosity and elasticity) foam designed for thermal Insulation. Superlon is available in tubing or sheet form and in a variety of colours. The sheets are available in standard pre-cut sizes or in rolls. 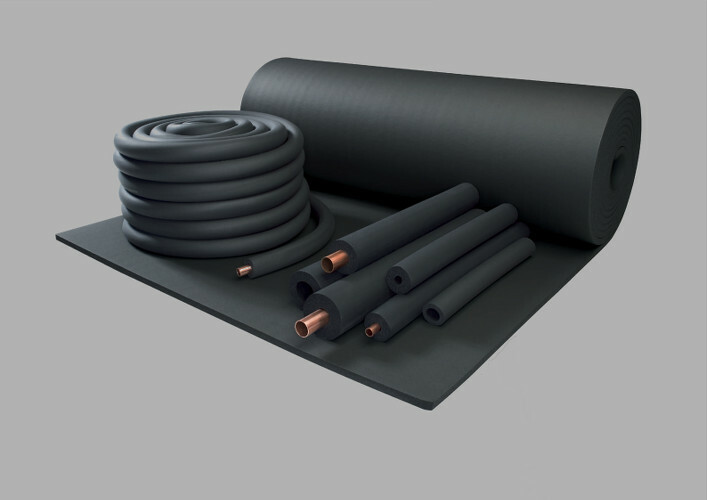 Extruded flexible tubing is specially designed to fit the standard diameters of steel and copper pipes. Superlon’s expanded closed cell structure provides an effective vapour barrier for the prevention of condensation or frost formation on cooling systems, chilled water and refrigeration lines. Superlon also retards heat loss for hot water plumbing and heating, duel temperature piping and solar systems, irregularly shaped vessels, air-ducts and large diameter pipes. the insulation of cooling or heating systems. Superlon has excellent ozone and ultraviolet resistance. It is CFC, asbestos, chlorine and fibre free and does not cause skin allergies. It is also inert to most chemical agents and neutral to pipe metals. The extreme flexibility of the material makes insulation fast, easy and economical. It is able to withstand tearing, rough handling and severe site conditions. low K value as compared to alternative insulation materials. aesthetic appearance. No coating is necessary on most indoor installations. For ease of installation we have added an adhesive strip that is easy to peal and seal.